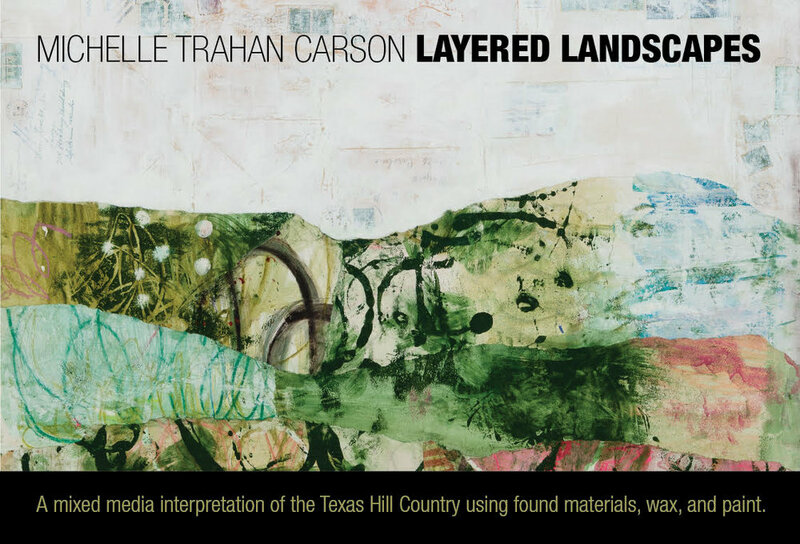 My upcoming show at Mockingbird Handprints, Layered Landscapes, was inspired by the terrain features, big sky, and lakes of the Texas Hill Country. I live in the city, but I love to spend the occasional weekend in the Hill County with my family. It's a joy to see my son marvel at the rocky hills and get excited about using a fishing pole. I've interpreted this landscape using a variety of colorful mixed media materials. I collaged painted papers layered on top of vintage letters and postcards. I also painted vintage book covers using oil and cold wax medium layered with a palette knife. Finally, I made little "Lake Houses" using re-claimed wood, encaustic wax, and oils. The show is up through November. The opening reception is November 1st 5:30-8:00 pm. Please come!